At Laurier, given our mission and types of undergraduate and graduate programs, the most likely type of intellectual property to be created includes theses, dissertations, cognate essays, research papers, books, poems, plays, scripts, essays, articles, dictionaries, maps, lyrics, musical scores, sculptures, paintings, photographs, films, videos, tapes, computer software, databases, digital and analogue audio recordings and inventions (new kinds of technology). To be copyrighted, and therefore protected by law, an item must satisfy three criteria: a) it must be an original creation; b) it must be a specific expression of an idea, not the idea itself; and c) the item must be fixed in a physical form. These creations may occur via term papers, theses or dissertations, research or cognate essays, course projects, cases, studio or laboratory assignments, etc. Ownership rests initially with the author of the work, unless an author has been employed to create a work, in which case the copyright rests with the employer. It should be stressed, as well, that once a piece of work has been accepted for publication by a journal or a publisher, in the absence of an agreement to the contrary, it is the publisher who owns the work. Finally, because a copyright can be held by the creator for life, plus another fifty years, copyright-eligible work created while a student remains his or her property for life, plus an additional fifty years. Disputes over ownership, in whole or in part, may occur in team or collaborative work, where many individuals may have contributed to the creation of the work over time. Disputes may also occur when someone other than the creator (i.e. the student) publishes the work after the student has left the university. Furthermore, disputes may arise over authorship credit or the order of authorship for the work. A. The fundamental rules guiding intellectual property (IP) rights are outlined by statute in the Canadian Patent Act and the Copyright Act, and through appropriate case law. While the rules apply to faculty, staff and students, those sources do not provide specific guidance in all circumstances. The essential principle, however, is that all contributions to a scholarly work should receive appropriate recognition and attribution for that work. Recognition is made through such vehicles as authorship, co-authorship, citation, or an acknowledgment, depending upon the type of contribution and the prevailing disciplinary or professional practices within the scholar's field. B. Students who submit work to the university (e.g. data sets, exams, tests, computer software, cases, projects, theses, dissertations, lab reports, cognate essays, research papers, musical scores, plays, lyrics, art work, poems, video recordings) that is eligible for copyright protection, and which is submitted as a requirement of an academic program, are entitled to sole copyright ownership. Works or parts of works created while employed by a professor or a contracting agency are not owned by the student (see C). C. Students have no rights, unless by prior written agreement, to any intellectual property created because of being employed by the university or by a contracting agency. If a thesis/dissertation/cognate essay/research project is to be completed while employed through an external contract or contribution agreement, students must be informed, in writing, of the terms of the contract, including stipulations concerning confidentiality, intellectual property ownership and publications. It is in the interest of students, faculty and the university to ensure that students' publication rights for work completed as a program requirement are protected by the terms of a contract or contribution agreement. D. Where the work submitted is part of a team project or a program of research, ownership may be attributed to more than one individual (student, staff, faculty) according to a written agreement signed by all parties who contributed to the work, regardless of the duration of the project or program. E. For rights to authorship on papers, books or reports prepared by faculty, there must be a significant intellectual and creative contribution to the work and there must be a sharing of responsibility and accountability for the content of the work by students. F. Before a work is submitted for publication, a student co-author must have the right to review and approve the draft manuscript, including the order of authorship. G. For a subsequent work based primarily on the student's own dissertation/thesis/research paper/cognate essay/case/musical composition, the intellectual property rights associated with that work belong to the student unless they are waived or altered by informed consent. H. Where the research of a student and a professor results in an invention which may be patentable, a memorandum of agreement should be written and signed, with the assistance of the office of research services and/or lawyers for all parties. In this agreement, the rights of the student, the professor and the university should be identified. Any dispute with respect to the ownership or use of intellectual property created while a student should be dealt with promptly, in accordance with the following procedures. A. First, attempt to resolve the matter by discussions with all parties involved in the creation of the work -- e.g., faculty member(s), other students, former students, staff, etc. who previously contributed to the work. B. If the above procedure does not resolve the matter to the satisfaction of the student or alumnus, submit concerns, in writing, with evidence, to the associate vice-president:research, who will strive to serve as an informal mediator to resolve the dispute. C. The associate vice-president:research, if unable to resolve the matter, will establish an ad hoc committee of enquiry (composed of 2 senior faculty, one to serve as chair, and 1 graduate student, all from outside the academic sub-unit(s) or department(s) involved), to review the evidence and recommend to the associate vice-president:research, how the matter can be resolved, including a recommendation that the university take disciplinary action against a faculty member or against a student for a malicious or fraudulent complaint. D. The recommendation(s) of the committee will be forwarded by the associate vice-president:research to the vice-president: academic for action. 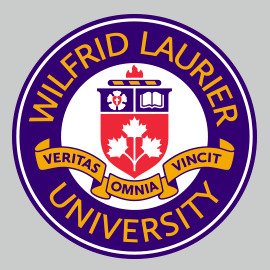 E. Any disciplinary action taken against a full-time faculty member shall be subject to the provisions of the collective agreement between Wilfrid Laurier University and the Wilfrid Laurier University Faculty Association.